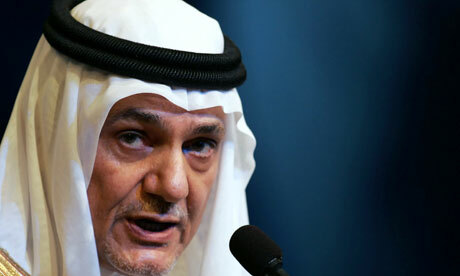 Prince Turki al-Faisal, a former Saudi intelligence chief and ambassador to Washington, warned senior Nato military officials that the existence of such a device “would compel Saudi Arabia … to pursue policies which could lead to untold and possibly dramatic consequences”. Israel’s army said it faced a “serious” incursion at Majdal Shams in the occupied Golan Heights, where a number of people were reported killed and injured. 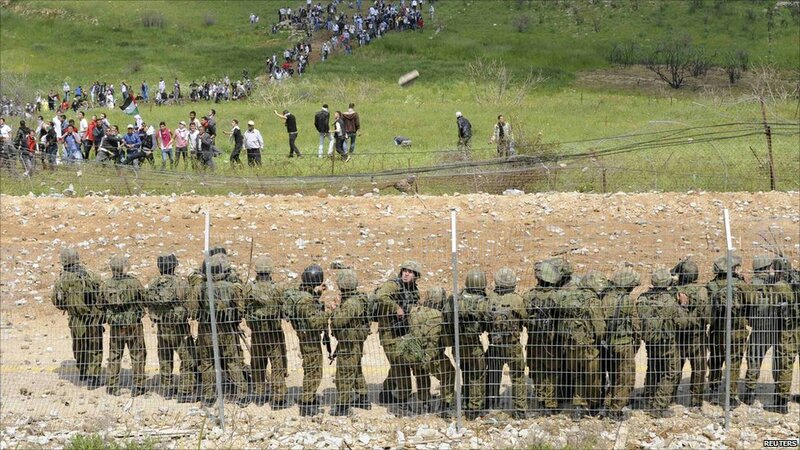 In one incident, thousands of Palestinian supporters from Syria entered the Golan Heights, Israel says. 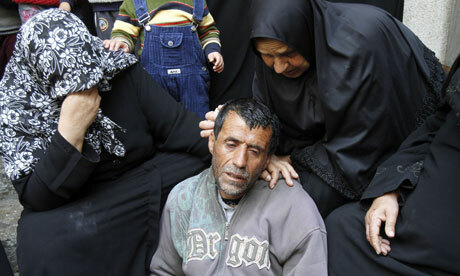 Hundreds of thousands of Palestinians fled or were forced out of their homes in fighting after its creation. Responding in a televised address to Sunday’s violence, Israeli Prime Minister Benjamin Netanyahu said he hoped “calm and quiet will quickly return, but let nobody be mistaken, we are determined to defend our borders and sovereignty”. A group of prominent Israelis, including heads of the army and security services, hope to revive the peace initiative by announcing details of possible treaties with the Palestinians, Syria and Lebanon. The Israeli Peace Initiative, a two-page document, states that Israel will withdraw from the land it occupied in 1967 in both the West Bank and the Golan Heights, and pay compensation to refugees. The document has been given to Binyamin Netanyahu, the prime minister, who has said he will read it with interest. The authors of the document, which will be launched at a press conference in Tel Aviv on Wednesday, say that it is partly inspired by the revolutions that have taken place in the Middle East. 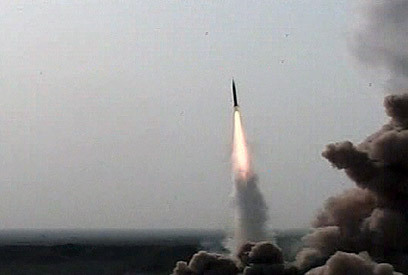 It presents an opportunity for Israelis to participate in the “winds of change” blowing through the Middle East, they say.